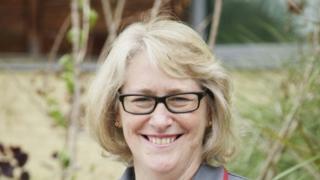 A nurse who cared for some of the UK's first Aids and HIV patients has been made an OBE. Kathryn Halford is among 64 NHS staff honoured in its 70th year. The 54-year-old recalls having to wear protective suits to treat HIV and Aids patients at St Mary's Hospital, Paddington in the early 1980s.Ms Halford, who was recognised for services to nursing, also treated victims of the 7/7 terror attack during her career.She currently works as chief nurse at the Barking, Havering and Redbridge University Hospitals NHS Trust. The trust's CEO Matthew Hopkins described Ms Halford as an "inspiration" to her colleagues.He added: "I can only guess at how many thousands of lives that Kathryn must have touched either directly or indirectly over the years. "She first worked for the NHS aged 18, including a spell at Great Ormond Street Children's Hospital, as well as leading on palliative care for the Department of Health for a time. During the 1980s' she spoke about HIV and Aids patients being kept in isolation due to the concerns about infection.She added: "We had to wear full protective suits, masks and gloves to even treat them, so I can remember patients arresting and needing me and having to stand outside the room putting all the protective clothing on before I could go to them. "It's a huge difference from what it's like now." "I love the people, those I work with and those I've looked after, and I love being able to walk onto a ward and talk to a patient."